Here at The Mix Lab, we bless you with a Happy Easter! Jesus has risen from the dead! Worship the Lord Our Saviour! Also we wanna encourage you to peep out the video below. 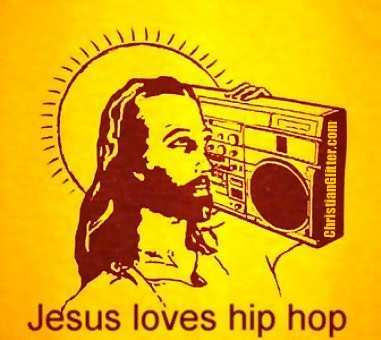 You can use hip-hop as a tool to minister the Gospel of God. Have a safe and a wonderful Easter! God Bless You All! Welcome Back! Here is another dose of real hip-hop formula strait out from The Mix Lab! JFresh One is on the set to deliver some essence into your ears. On this you'll find some Dilla, Common, Talib, Premier, Jurassic, & Statik. Please subscribe and download for FREE! Stay in touch with the website as we are going global! Whats up folks, this is JFresh One. I Know its been quite a minute since I last posted up something. Or even updated the podcast. Be don't give on The Mix Lab! It's been a very busy month for me personally and the blog/podcast is under construction. So basically I just wanna say excuse me and sorry for any wait on updating the site or podcast. But STAY TUNED though because in the next couple days a NEW podcast will be up and then some. Also NEW updates to the website. Thank you for your patience and see ya'll soon!